GJ 1214b was the first planet discovered by the MEarth project, which surveys small, red M-dwarf stars to find transiting exoplanets (for a nice review of the transit method, see this astrobite). The advantage of finding planets around these cool, small stars is that super-Earth sized planets such as GJ 1214b create a larger dip in the light curve than the same planet would around a Sun-sized star, making them easier to detect and, with further observations, characterize. 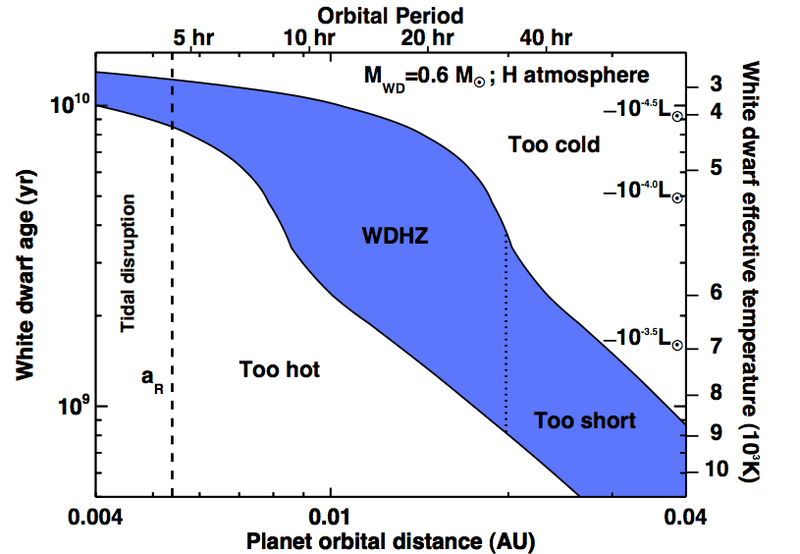 Unlike many of the other transiting super-Earth-sized planets (or Kepler planet candidates), GJ 1214b orbits a fairly bright star and causes a large enough dip (~1%) during transit to practically acquire observations that would constrain the characteristics of its atmosphere. 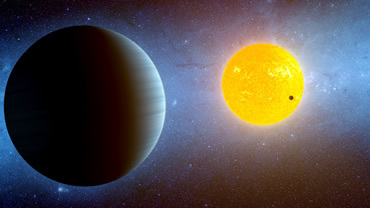 Transmission spectroscopy is a clever technique that astronomers use to infer the composition of exoplanet atmospheres. The technique works by taking observations of the transit light curve at different wavelengths. By looking at the relative depths of the transit at different wavelengths, we can see if there are prominent absorption features at some wavelengths. The planet will actually look slightly bigger in radius (and cause a bigger dip) if we are observing it in a wavelength where there is a prominent absorption feature in the atmosphere. There have been many previous transmission spectroscopy observations of GJ 1214b. Different teams of astronomers have published photometric observations in the optical, near-infrared, and mid-infrared — and each group concludes the atmosphere is different! The optical and mid-infrared measurements have suggested that the atmosphere is made mostly of heavier elements (such as water) rather than having a hydrogen and helium atmosphere; alternately, a haze or cloud layer high in the atmosphere could also fit the observations. In contrast, the recently published near-infrared measurements (see Croll et al. 2011) suggest that the atmosphere is in fact dominated by hydrogen and helium. The lines on this graph show the models used in this paper. The black points show the previously published data, and the open circles show the averages of the models. This paper rules out all these models except for the low carbon and no methane models. In this paper, the authors hope to resolve some of these apparent discrepancies with a high-resolution spectrum of GJ 1214b during transit. Instead of using photometric observations to get a broadband spectrum, in this paper, the authors actually take spectroscopic measurements using the Keck telescope with the NIRSPEC spectrograph. These observations are then compared to a suite of atmospheric models. They modeled solar composition planets and planets with abundances of heavy elements that were 10 times and 30 times solar abundances. Planets specifically lacking methane and with very low total carbon abundance are also examined. These last two sets of abundances have been previously suggested as a way to resolve the differences between the optical, mid-infrared, and near-infrared observations. The authors go through the complicated process of extracting the spectra from the echelle spectrograph data and removing the systematic effects. The extracted transmission spectrum are compared to the atmospheric models. For the model to fit their observations, it’s required that the model must fit better than a flat-line. They also require a particular analysis of the data, in which they cross-correlate the observations with each model, to have a signal significantly greater than zero. All the published transmission data from GJ 1214b are used to analyze the atmosphere. 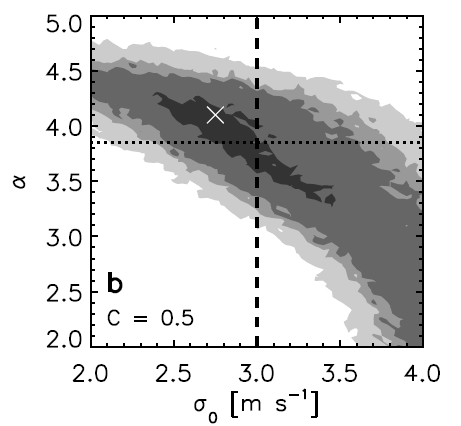 The authors conclude from their observations, combined with all the previous photometric observations, that GJ 1214b can be fit by a hydrogen and helium dominated atmosphere only if it is significantly depleted in methane. If the planet’s atmosphere were photochemically altered by the strong irradiation from its host star, it could appear depleted in methane with an optical haze. An atmosphere that is not depleted in either methane or carbon is specifically ruled out. Their observations alone are also consistent with an atmosphere that is denser than hydrogen/helium, but that type of atmosphere was ruled out by the near-infrared data published earlier this year; however, they suggest that further observations might be necessary to verify this conclusion. Future observations could draw more conclusions about the atmosphere by looking at water features; a methane-depleted hydrogen-helium dominated atmosphere should exhibit prominent absorption features from water. While these are hard to measure from the ground since there is so much water in Earth’s atmosphere, they should be easy to characterize from space using the Hubble Space Telescope.